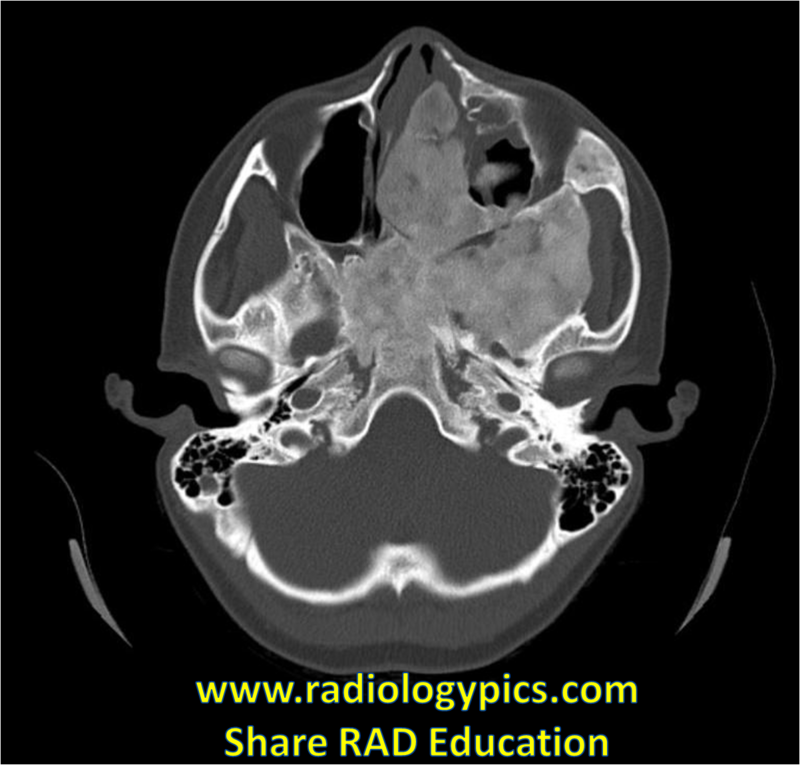 History: 10 year old girl with headaches and facial deformity. Fibrous Dysplasia of the Skull Base: Axial CT of the head in bone windows reveals a large mostly sclerotic lesion with some areas of mixed attenuation. Note the abrupt transition zone between normal and abnormal bone, characteristic of fibrous dysplasia. 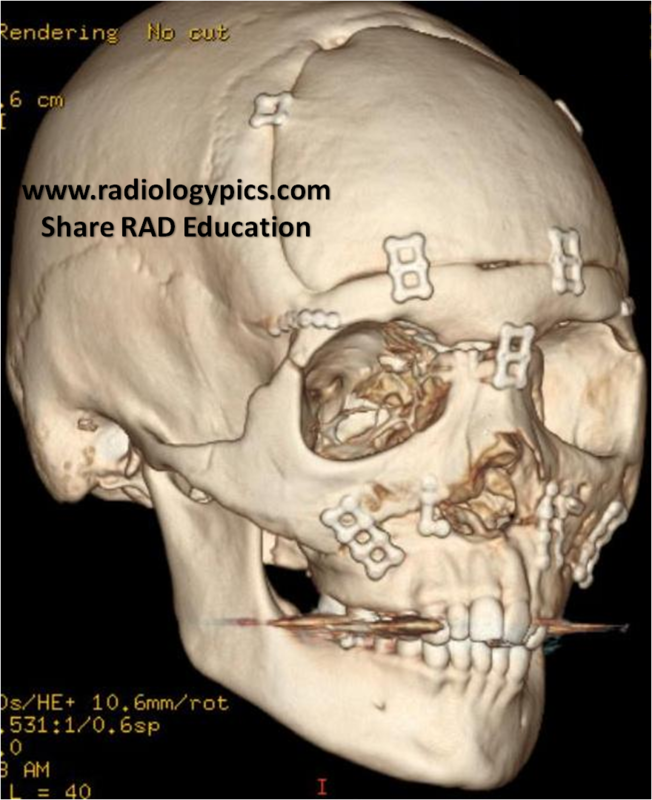 Fibrous Dysplasia Reconstruction: 3D reconstruction of the Head CT above after the patient underwent craniofacial reconstruction. This is a case of fibrous dysplasia of the skull base. Fibrous dysplasia is a congenital bone disease resulting from abnormal osteoblast differentiation which results in the replacement of normal bone with a mixture of fibrous tissue and immature woven bone. It usually occurs in children from ages 3-15, and 75% of cases of fibrous dysplasia present before 30 years old. Fibrous dysplasia can be categorized as either monostotic or polyostotic. Polyostotic fibrous dsyplasia is seen in a syndrome called McCune-Albright syndrome, in which it is associated with endocrine dysfunction (most commonly precocious puberty), and café au lait spots (cutaneous hyperpigmentation). The patient above underwent craniofacial reconstruction, which you can read about here. Read more about fibrous dysplasia of the skull base here.